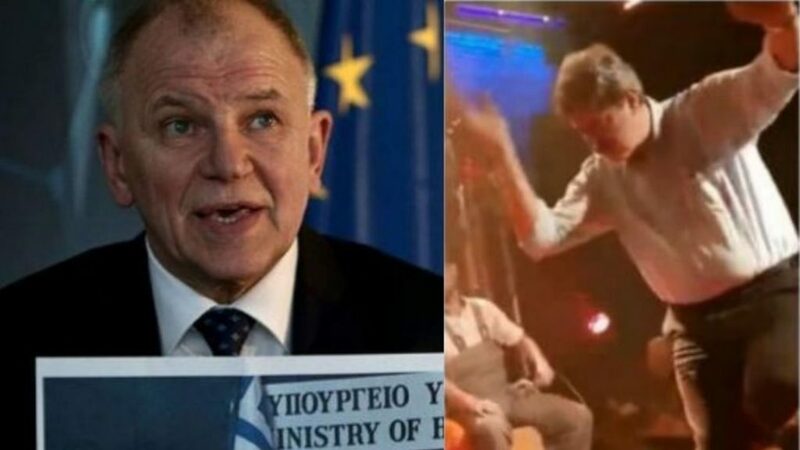 Alternate Health Minister Pavlos Polakis has once again enraged the EU because of his “disregard for legislation banning smoking in public places” as European Commissioner for Health Vytenis Andriukaitis has outlined after seeing a YouTube video from a well-known Athenian venue. During his public address at a World Cancer Day event at the Stavros Niarchos Foundation Cultural Center in Athens, Mr Andriukaitis said that was shocked to smell cigarette smoke in the halls and offices of the country’s Health Ministry during a visit earlier in the day. “It’s a shame! It’s a shame! This guy has no idea about health issues. Zero. The public opinion must denounce this kind of behavior,” the esteemed Lithuanian heart-surgeon told reporters whilst holding an older picture of Mr Polakis from 30 May 2016 when again, he was seen smoking during a press conference. “Whether someone smokes or not is not a question of freedom of choice. When it takes place in a public space, it’s about human rights, because the people around him have the right to breathe fresh air,” Mr Andriukaitis concluded. Mr Polakis did not of course let the European Health Commissioner’s comments go unanswered. It took him two days but he came back with a full-blown response via his Facebook page. “To mister Vytenis Andriukaitis: – “This ‘guy’ Mr Commissioner has been dealing with much more serious health issues than smoking smoking for three years,” Mr Polakis wrote telling the EU Commissioner to make sure he has the correct information before he speaks. “I’ll quit smoking when I chose to with my own free will. (Won’t be long but it will be my own decision…), he went on.